Getting into shape is the most common New Year’s resolution that people make. However, after a few weeks into the New Year, gym memberships start to drop, and people become less motivated to push themselves further to achieve their desired results. What you need to stay true to your goals is to find great gyms that can help you through the process and design a program that works for you. Here’s some of the best gyms near Santa Fe to continue your New Year’s resolution, so you can achieve the body you want. If you’re seeking out the right gym that’s filled with state-of-the-art equipment and trainers who can help you along the way, Railyard Fitness may be what you’re looking for. There are several classes that are available for you. Check them out to see if it’s the right fit that can motivate you and push you toward your goals. There’s classes like Spin Fit, Kickboxing Fusion, Kettlebell, Circuit Fit, and Mama and Me yoga for new mothers. You can even sign up for personal training to gain the necessary insight and experience to help you on your fitness journey. Finding a full-service gym shouldn’t be too hard because SolCore Fitness is right in Santa Fe. They offer a variety of services and programs to help you work towards your goals. 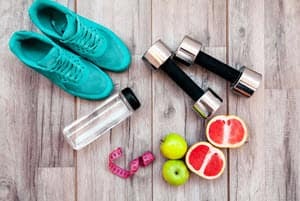 They’ve got a Holistic Weight Loss program if you’re looking to burn fat while improving your diet, or you can join in on the group exercise to work towards burning the calories and improving your strength. You can also work with a personal trainer to come up with a customizable program to help you work towards the results at your own pace. If you can decide on the right fitness ideology or style to choose, why not get a taste of everything at Undisputed Fitness? They’ve got an exceptional team of athletes with a variety of backgrounds in fields like Kickboxing, Strongman, CrossFit, and Jiu Jitsu. You can sign up for a class or a private lesson to get a sense of the workouts and styles so you can choose the right path toward your fitness goals. They’ve got a wide schedule with classes starting as early at 6:00 a.m. and as late as 6:00 p.m.
Are you looking for the right place to get fit? Check out any of these gyms near Santa Fe to continue your New Year’s resolutions.